I've found the perfect way to quickly decorate those cookies stored in the freezer that didn't get decorated and it's been so long that you probably wouldn't want to eat them. 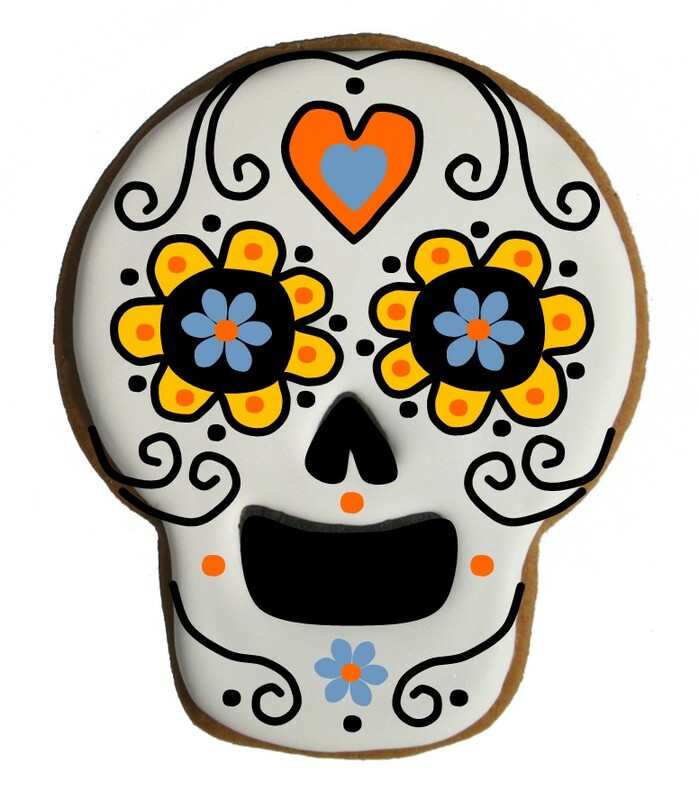 Take a photo of the cookie you want to decorate, load it into your computer and decorate it in Photoshop or one of the draw programs. I like MS Publisher. Virtual cookie decorating? I made skull cookies and drew the design for them last fall but they didn't get decorated. I started on the cookies but I didn't seem to be getting my lines fine enough and my hand wasn't steady enough. I thought about using edible marking pens but that wasn't the look I wanted. I put them in the freezer and they are still there! Then I though since they wouldn't be eaten I'd use fine point Sharpies to decorate them. But in the end I wound up doing it on the computer where I had done the original design. I've scanned a cookie cutter and colored it cookie color on the computer and then decorated it but I haven't done it on the photo of an actual cookie before. It sure makes mistakes easy to correct! My skull cutter started out as a big circle that I already had since I hadn't found one in a shape I liked. It was pretty easy to bend it into the shape of a skull. I used this technique to make the "holes" in the skull.